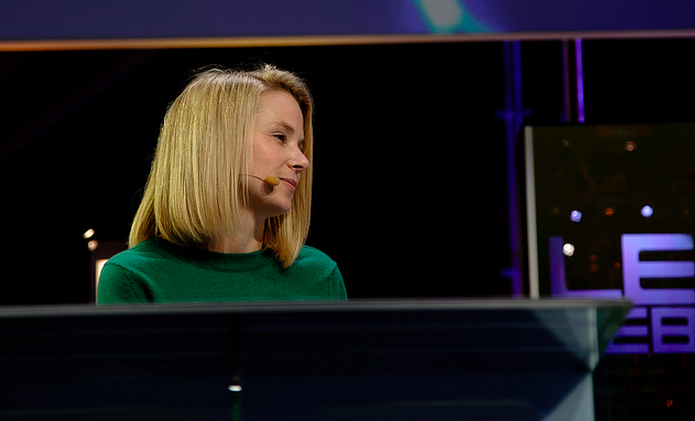 Today Yahoo reported its second quarter financial performance. The firm had revenues of $1.22 billion in the quarter, and diluted earnings of $0.27 per share.However, after all factors were considered, revenue was $1.1 billion. GAAP diluted earnings per share were $0.18 for the quarter, flat from the year prior. Yahoo had revenues of $461 million from search. That figure is down 1% year over year. GAAP display ad revenue was up 2% year over year. Widely reported and discussed, the news had little impact on the company’s stock, which rose roughly 2% in after hours trading following the announcement. Yahoo lost a fraction of a point today, in an largely up trading period, as the market waited for its earnings. At the start of after hours trading, post this news, Yahoo was up 0.77%, and rising.